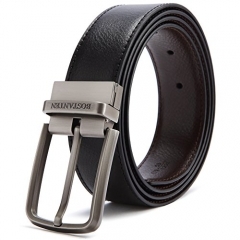 MATERIAL: The men belts is made of genuine cowhide leather with new design buckle. 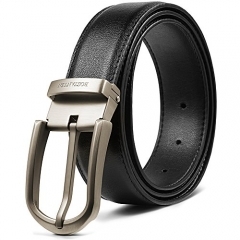 SIZE: 1.25"/3.5 CM wide belt, 41.33"/105cm length belt. Suitable for size 28-34 waist, plz buy one size larger than your waist. Comes with gift box can be a decent birthday Christmas gift for family or friend. 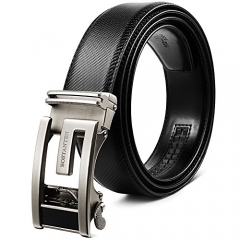 EASY USE: You can slide the belt into the buckle and pull the belt through, the buckle simply auto locks the belt. 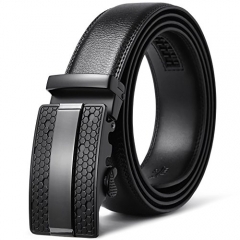 With easy removable buckle allows you to withdraw and trim the belt body to your ideal size. 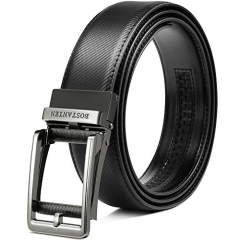 VERSATILE: Ideal men accessory to wear as an everyday belt, goes great with uniform, jeans or formal wear. Simple style suitable for business and leisure. 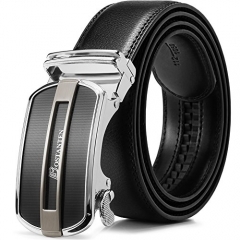 Warranty: BOSTANTEN offers a 100% satisfaction guarantee. 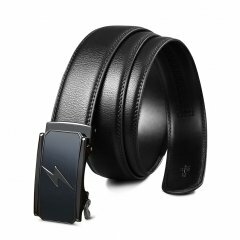 If you are not satisfied with our product or service for any reason, please feel free to contact us. We will either refund your money or redeliver a new product. 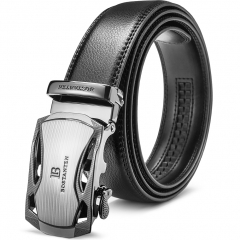 Big Sale New BOSTANTEN Men's Leather Ratchet ..
BOSTANTEN Belts for Men Ratchet Dress Belt wi.. 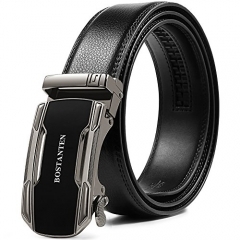 Flash Men Belts for Jeans Designer Black Leat..
BOSTANTEN Reversible Dress Leather Belts for ..
BOSTANTEN Leather Ratchet Dress Belts for men..
BOSTANTEN Genuine Leather Belts for Men Adjus..
BOSTANTEN Men's Leather Ratchet Dress Belt wi..